The SAILOR 6208 is used for easy installation of multiple SAILOR 6204 Control Speaker Microphones. 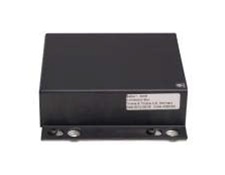 The SAILOR 6204 Control Speaker Microphone can be connected directly to the SAILOR 6222 VHF, however it is much easier to install via the SAILOR 6208 Control Unit Connection Box for multiple installations. Including 5 meter cable (406208-941). For installation of additional SAILOR 6301/6302 and SAILOR 6204/6205.